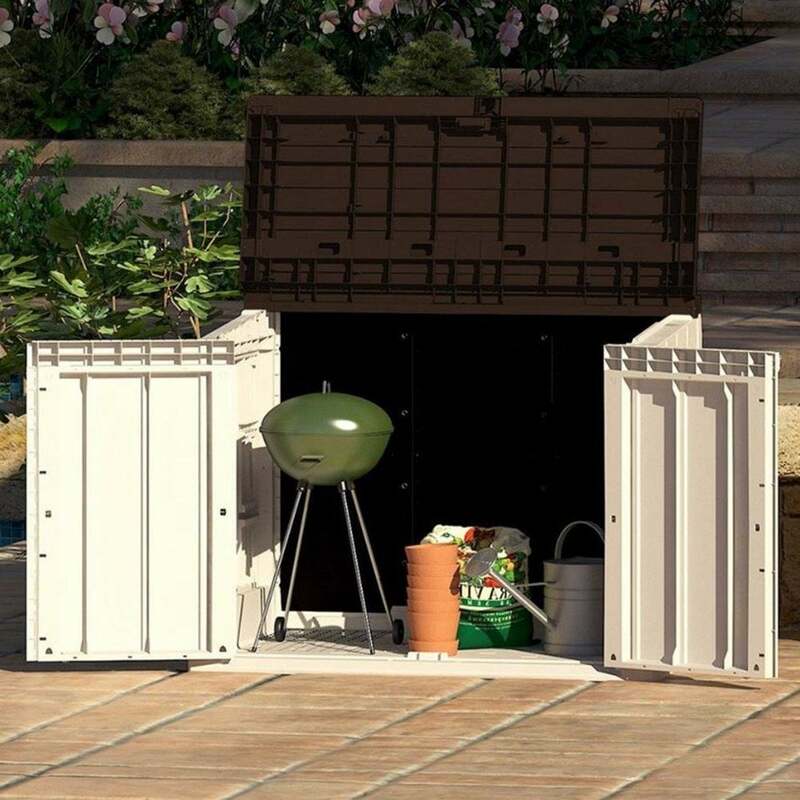 Forest Garden Large Garden Storage Box 842L: The Large Garden Storage Box by Forest Garden is a versatile storage solution that will accommodate large outside items such as garden tools, lawnmowers and barbeques, the unit will also fit two small 120 litre wheelie bins. The Forest Garden comes in a taupe grey and brown design and features an opening lid with twin front doors for easy access when manoeuvring items around. The Large 842L Storage Box is made from UV stabilised recyclable polypropylene and features a lockable design with the use of a padlock (not included) so contents can be kept secure when not in use.